Within hours, a French couple visiting Colombia’s tourist hotspot Cartagena were wrongly charged $285 for a meal and robbed, reported local media on Monday. When Dominique and Rene Tora set off from France to Colombia, they were looking forward to an idyllic vacation exploring Colombia’s north coast. The couple visited the beaches of La Boquilla, north of the city, to enjoy the sea and the Caribbean climate on Friday evening. There, a group of young men spontaneously offered the couple a cabana on the seafront in which to eat their dinner. “The young people met us straight off the bus. One of them commented that we had arrived at a very nice beach, that there were very good fish restaurants and that his mother would cook for us and so he took us to the beachfront”, said Dominique. The couple ordered two fish platters, a coconut lemonade, three beers and two bottles of water. At the end of the meal as they were getting ready to leave, they asked for the bill. Out loud, one of the young people said that the total cost was $285. Understandably surprised, the tourists demanded to see the menu. The owner of the “El Rey Arturo” restaurant, where the food had been ordered from, explained that the tourists fell into the hands of the infamous beggar conmen, and that the meal should have only cost $20. A scam commonly found in tourist hotspots in Colombia, the tourists did not order their food directly with the restaurant’s employees, but with the conmen. These conmen/beggars often offer food to foreigners without having a business own. Instead they buy the food from the restaurant then sell it on at marked up prices. “I came to the tent and as soon as I saw the discussion I tried to mediate. They asked me how much they owed me for what I had offered them and told them $20. He took out two $20 bills and canceled what I owed,” the owner of the restaurant, Carlos Arturo Jimenez, told Caracol radio. However the french couple’s troubles were not over yet. As they were leaving the beach a group of young men approached the couple and robbed them at knife point. “It was a group of boys, about six or eight and they intimidated us and roughed us up. They stole a bag containing credit cards, driving licenses, cell phones, glasses and $ 102,000 pesos in cash,” said Dominique Tora to El Universal. 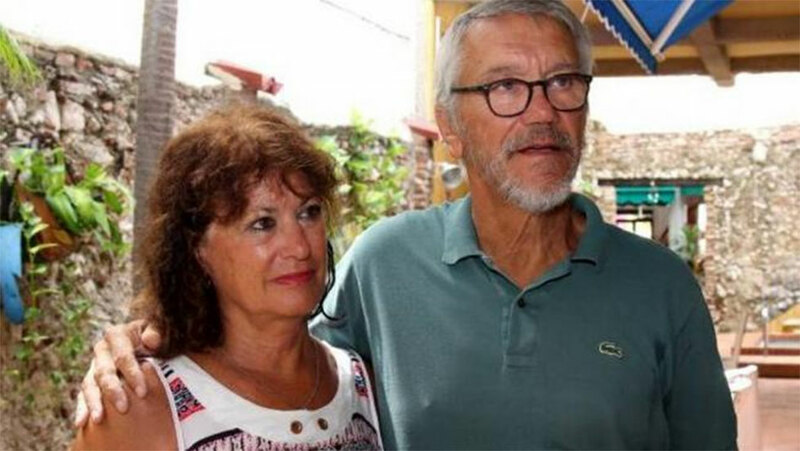 The couple, who arrived in Cartagena on April 27, say that despite the situation, they consider the city to be very beautiful and are looking forward to travelling to Medellin in the coming days.